Voyager 1 and 2, launched in 1977, are still sending back data, over 9 billion miles from Earth. Beginning about 2007, they discovered something odd: large bubbles of magnetic force. These bubbles are apparently created by the sun’s magnetic field as the sun rotates. Lines of magnetic force cross and reconnect and sometimes reorganize themselves into “bubbles,” some a hundred million miles wide. 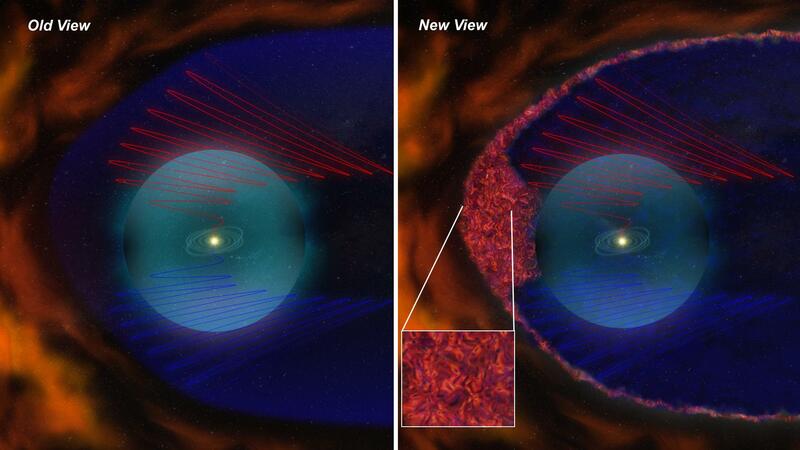 It was previously assumed that the sun’s magnetic field would cleanly curve around and return to the sun. The new data indicates otherwise. Some scientists believe these bubbles may be trapping some of the incoming cosmic rays that are trying to enter the solar system. I don’t know how strong these fields are. I do know that most of the plans for interplanetary and interstellar spacecraft have included some kind of magnetic shielding, first for protection from solar flares and other dangerous in-system radiation, and second from cosmic rays. 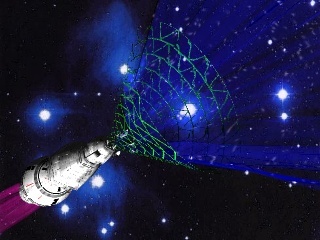 Some have postulated the use of Bussard ramjets using a magnetic ramscoop (as Larry Niven has often demonstrated in his fiction) for interstellar travel. Such a magnetic chaos zone could cause serious problems with ramscoops, couldn’t it?